In India, the two premier entertain avenues are Cricket and Bollywood.These two has close connections for many numbers of years from Mansur Ali Khan Pataudi, the famous Captain and Cricketer, marrying yesteryear star Sharmila Tagore; Sandip Patil, the flamboyant cricketer marrying actress Reena Rai; to the present Indian Team Captain and world’s top Batsman Virat Kohli in love with leading Bollywood actress Anushka Sharma. 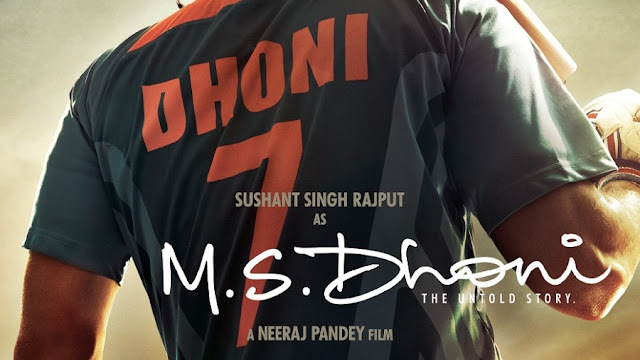 So, it is always a very good choice to make a movie based on cricketer and who else is better in the present context than the most successful Indian captain ever MS Dhoni. The Movie MS Dhoni The Untold Story which is going to be premiered on Star Plus, Hindi TV Channel will be the most sought after movie to watch for in the New Year 2017. This movie is already generating a great amount of interest and how nice it will be to watch it at the comfort of your very home and that too in the prime TV Channel of Star Plus Live, which is definitely has got premier views on TV cinema viewing. One just can’t wait to watch it. Understandable how thrilled everyone will be. Everyone has seen MS Dhoni play and win matches for India. But very few have known how hard he has to work to shape as a cricketer that we know today. The movie narrates how his dream has come real and how he rose from being a Train Ticket Examiner to the Dhoni the cricket world knows. How hard Dhoni has worked to sweat to achieve the initial success and recognition and then to stay in the prime position for so many years. MS Dhoni is a big saga in Indian Cricket and he is liked by one and all for his Mr. Cool Attitude. His ability to face toughest of situations with coolest and focused mind and come out as a winner. MS Dhoni has groomed many cricketers during his stint as captain and is adored by one and all as a National Hero. So, MS Dhoni The Untold Story Premiere is not going to be missed by anyone who likes Movies and Cricket. Since both has huge fan following, coming together of two will be an event of unprecedented craze. Stay glued to your favorite Star Plus Live to watch the blockbuster biopic MS Dhoni The Untold Story.